My name is Brian Sneathen from Lafayette, IN. I have been racing Motocross since 1977. I am 42 years old. I was racing when Mugen Honda came on the scene. Mugen is the name of a company in Japan that means "unlimited power". It was started by Hirotoshi Honda, the son of Dr. Soichiro Honda who started Honda motor co. Mugen was a company that specialized in building works bike for sale to the public. 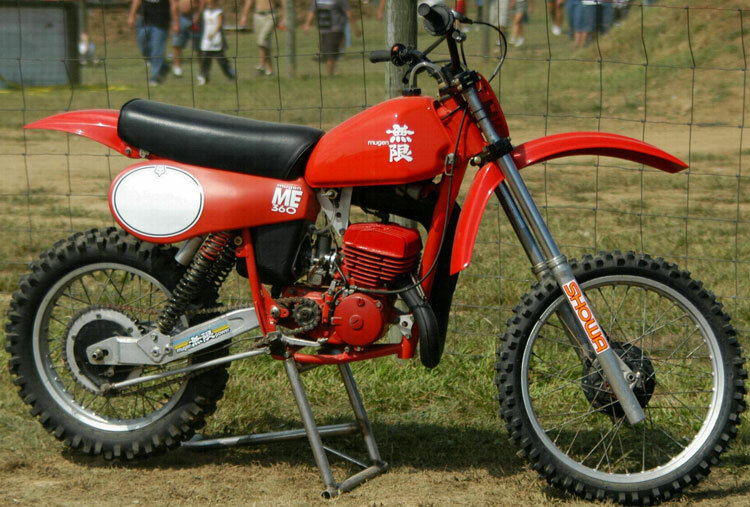 Mugen 125's, 250's and 360's were based on the 250 bike. I was at the 1980 125 U.S.G.P. when Johnny O' won the race on a Mugen. I always wanted a Mugen Honda when I was a kid racing back in the 70's, but I could not afford a new stock bike, let alone a kit for a Mugen and forget about a real Mugen built factory race bike. Fast forward 28 years. Here I am 28 years later and MX racing is still deep in my blood. I heard about vintage racing a few years ago and was very interested in reviving my racing past so with the power of the internet, I started to investigate the sport and looking for old Hondas because that is what I liked and raced at the time. I found a few decent old Elsinores bought one and the rest is history. Well, from then on I started to see some stuff on the web about the old Mugens which piqued my interest. Then I got hooked on looking for old Mugens and parts.